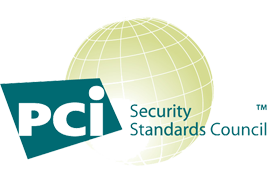 Long story short it was the best PCI audit we did for the last 7 years. All who were involved were very professional, quick responsive and customer oriented. So, I would say we got 150% (may be more) of the customer satisfaction. When I called you all at the end of July, the company I represent really needed an assessor who could come through and do a complete and professional job, and not only did you do precisely that, you were true to your word in each instance in which it was given. That by itself is such a rarity in these times that I am compelled to acknowledge it in appreciation whenever I find it. We've had assessors from multiple companies over the past 10 years. Dara Security was the first company that actually took the time to truly understand our business and systems, which is essential to assessing risk. I recommend them highly. Always a great experience working with Dara Security. Barry and the group there are professional, knowledgeable, enjoyable and competitive. Thanks again guys!